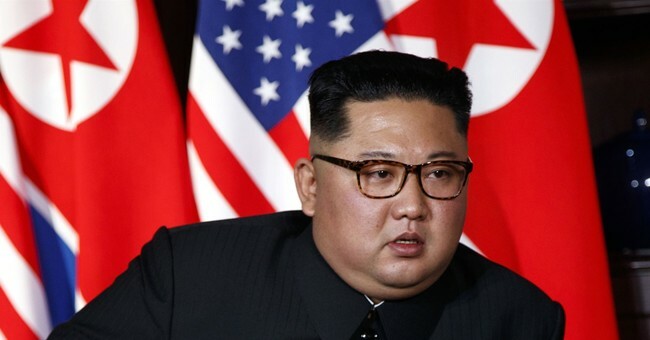 President Trump released a letter written by North Korea Dictator Kim Jong Un Thursday afternoon and said nuclear negotiations with the regime are going well. I firmly believe that the strong will, sincere efforts and unique approach of myself and Your Excellency Mr. President aimed at opening up a future between the DPRK and the U.S. will surely come to fruition. Wishing that the invariable trust and confidence in Your Excellency Mr. President will be further strengthened in the future process of taking practical actions, I extend my conviction that the epochal progess in promoting the DPRK-U.S. relations will bring our next meeting forward. The President's release of the letter comes shortly after North Korean officials failed to show up to a meeting with U.S. leadership. The meeting was about returning the remains of American soldiers from the Korean War. North Korean officials did not turn up to a Thursday meeting with the U.S. military about repatriating the remains of American war dead, according to a U.S. official with knowledge of the situation. In the meeting at the Korean Peninsula's demilitarized zone, the two sides had been expected to discuss the return of U.S. troops’ remains from the 1950-53 Korean War — an arrangement that the State Department had announced after Secretary Michael R. Pompeo's visit to Pyongyang last weekend. According to President Trump, returning the remains of U.S. troops was agreed upon during the Singapore summit.